IPMC Independent Physicians Medical Center has a common goal with every referring physician: to provide optimum care, comfort, and convenience to every patient that walks through our doors. At IPMC we pride ourselves on the fact that we are a digital office. In fact, we have virtually eliminated paper use. Not only is it great for the environment, but the impact it has on our efficiency, convenience to doctors and patients, quality of care and turnaround time is phenomenal. All this is the result of a wonderful thing called RIS. 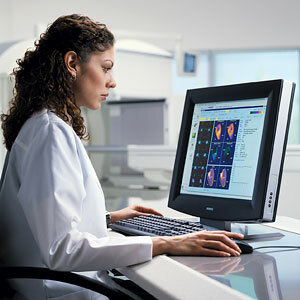 Radiology Information System, or RIS for short, is essentially a database of patient information. Imagine a patient chart that is accessible from any computer (provided you have access, of course. We take HIPPA very seriously!). Every prescription, insurance card, outside report, blood work result, insurance authorization, etc. scanned in. All the studies the patient ever had at our office are in one place and all the images and reports are accessible at any time, from any place. We also provide access for referring physicians so they can access any study they wrote a prescription for, instantly. When referring physicians obtain their private login information from us they get access to all of their patients’ studies. From that moment on, all they have to do is to login at www.ris.mnap.com and see a list of everyone for whom they have written a prescription. They will also see patients that have added them to their list of referring physicians (up to 3 total). This is extremely helpful if a PCP wants to see a study that a specialist prescribed or vice versa. The IPMC RIS gives doctors access to the order, images and report of the study, all at the click of a mouse. Also, because the images from all our studies are digital they are all accessible through RIS , so when we give the patients their films in slide or CD form, the original file always stays in the IPMC database.